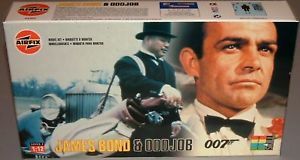 AIRFIX 1/24th Scale "GOLDFINGER" AMDB5. Kit box shows some slight wear Contents complete with instructions. “Thunderball” Sea Bottom Buggy Model Kit (12cm) Submarines Series Number 01 Product Code: B-2382-500. 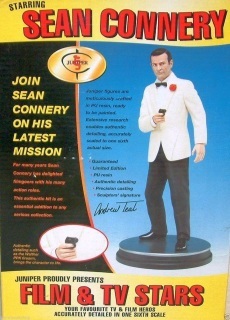 Originally Produced 1967 - This is a Re-Issue kit from 1997. 1:6th scale. Resin. 11" Tall. Juniper Kit of Sean Connery. (1995) MIB. 1:12. IP. Limited re-issue. 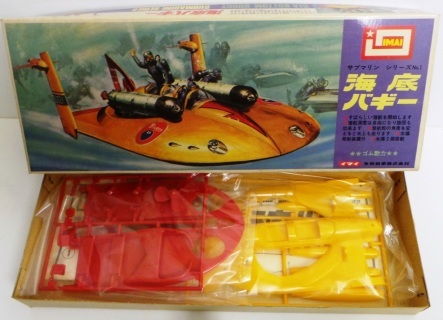 Model kit requiring construction and painting.